The afternoon was spent entertaining the neighbours, to apologise for monopolising the parking during the build. The weather was perfect for gardening, so I had to stop myself from thinking this was interfering with the things I should be doing. Once people had left it was time to get on with the paths which was the focus of Saturdays post. On Sunday, I had a little help from my oldest nephew, who luckily happens to be a rapidly growing rugby playing fitness fanatic. It was time to move all the rocks and to at least get the cycad rockery started. 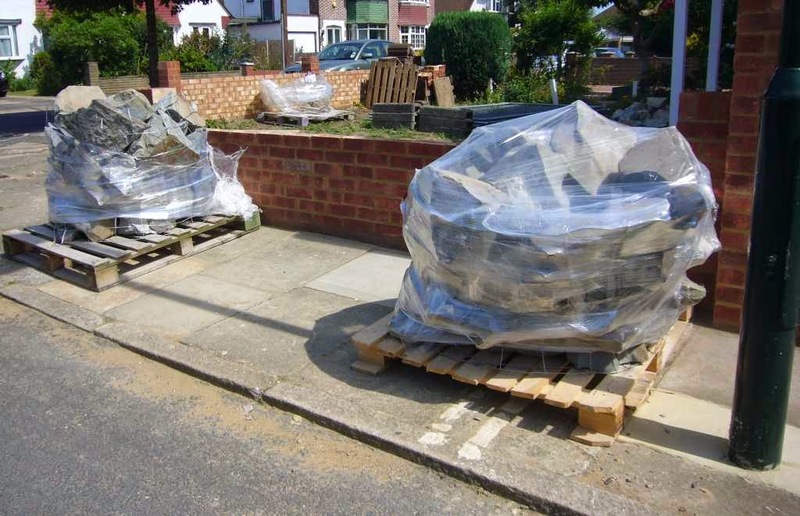 Moving them went well, although with only 2 tonnes in the back, and the main rockery not built yet, it takes up a lot of space. 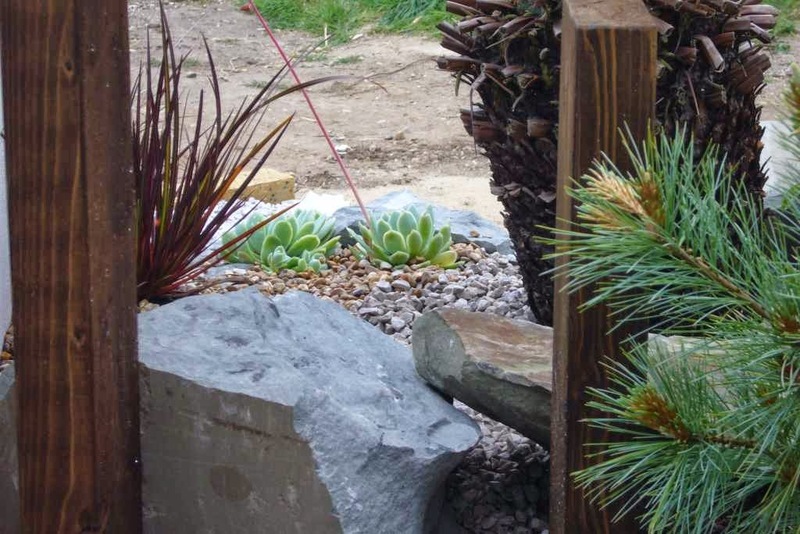 For my last garden I used river boulders, this time it is a grey sandstone. The colour is good, but a lot of the rocks are thin and flat meaning it is harder to get the look I want. I guess it is just getting used to the different shapes and is one reason for starting with a smaller section. Hopefully by the time I get to the main succulent bed, I'll have worked out the best way to use the rock to show it off. Anyway, by about 4pm there was enough complete for the real fun could start. For the first time since moving we actually had plants coming out of pots and into the ground. 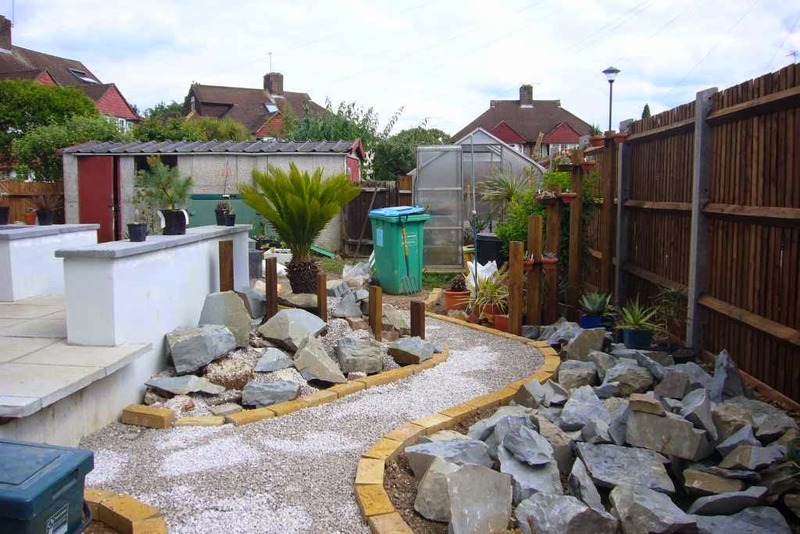 Originally I used the same gravel for the path and rockery, but the bricks looked out of place. While they will weather, in the end I felt the more traditional gravel worked better overall. I am sure it will evolve as I live with it. For a first run I am quite pleased, it will definitely do for this summer as it settles in and I see what likes the location and what struggles. The plant list is quite limited with agave parasana, agave bracteosa, aloe striatula, aloe aristrata, aloe poyphylla, echeveria elegans, a twin headed yucca gloriosa and the cycad revoluta. So far I've only planted up to the posts. The next stage will be to plant up the other half most likely with alpines. 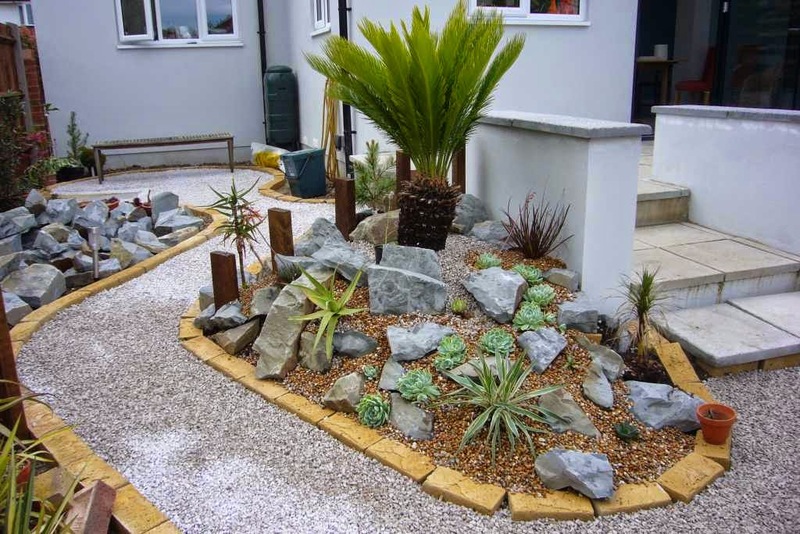 The flat rock would actually lend itself to the garden style of the moment: a crevice garden. It's tempting try one out, but undecided at the moment. In the mean time I'll enjoy getting used to the different views and give my body a chance to stop aching. It is very exciting to finally have plants in the ground! My back hurts just looking at these photos! And with all that to do what torture it would have been to have to take time to socialize...good job all around. My back wasn't too bad, but did let me know it wouldn't be happy if that was a regular occurrence. It was probably a good thing I had to be social; it meant I got to rest for a few hours and didn't over-do it. 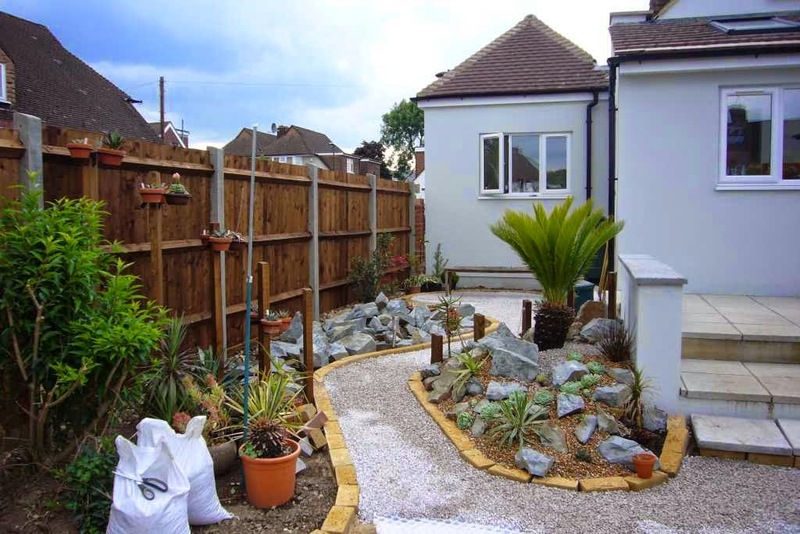 Plus for me a garden is a lot about a space to socialise and the neighbours all loved seeing what I was doing and are fascinated by the succulents and rockery idea, so maybe I'll convert a few. It looks really good. Nothing like a nice strong nephew to help, too. Do you have Agave havardiana? Thank you. I do have a. havardiana somewhere, no doubt it will be in the big succulent rockery. I love all that rock. The possibilities are endless. It's looking good already! Thanks. Sadly I don't think it will go as far as I would have liked.